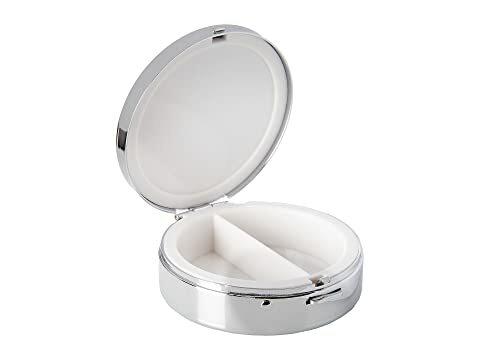 Keep your pills easily at hand in this Brighton® Joyful Heart Pill Box. Engraved details on the top. 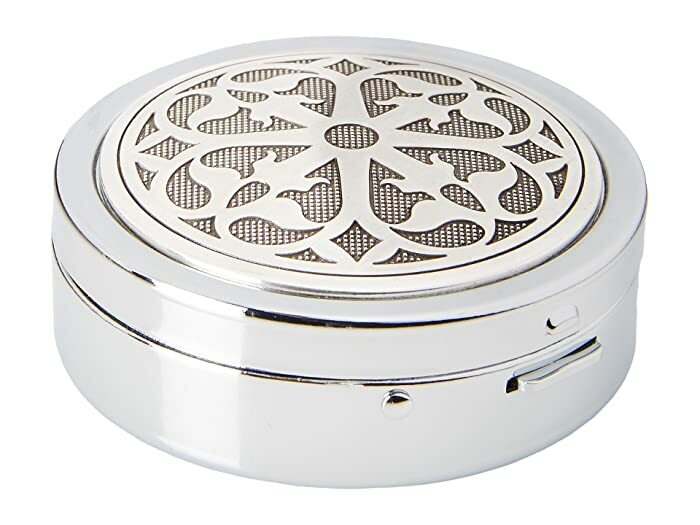 Metal case with pressure retractable closure. Interior features a divided compartment.